Volca Sample (version 1) with factory sounds. Still have never gotton the stupid sample transfer to work on this thing!! But it's a fun challenge to try and keep making semi-fresh tracks by repitching and changing params of included samples. The bass is a tom pitched down, the kick reshaped + pitched, a lot of manual dynamics,etc, using the per-step param changes. 100% pure Volca. Some parts recorded and mixed separately in Reaper to apply super long reverbs etc. Oh - and because the unit only has 8 memories for tracks and I'm out of space - I hit power at the end of this jam and the track was lose forever. Honestly Korg... 8 x 1 bar memories and no way to do a back-up. Really impressive that you did this in-unit! Wow! Bummer that you "lost it" but this track is awesome, so no need to tweak it! 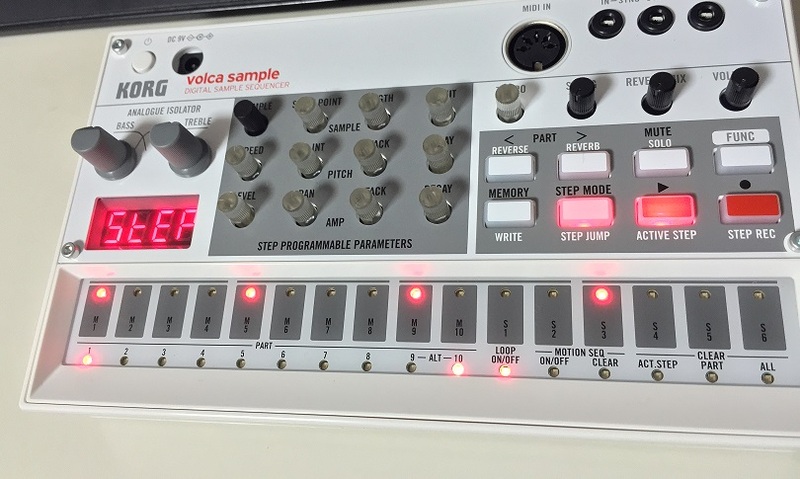 Hey now I want a Volca Sample too! Damn good! The important part is that you learned something from the experience and made a neat track.